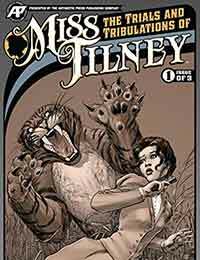 The Trials and Tribulations of Miss Tilney Average 0.00/5 - out of 0 total votes. London Post columnist Henrietta Tilney finally gets her chance to be a real reporter. Her first assignment: interview Lord Beowulf Harwood, mass murderer. But the genial (if rather incorrigible) Lord Harwood and his brilliant but near-amoral associate, Dr. Charles Plum, proclaim his innocence. Something tells Miss Tilney that he is right, but finding out the dark secrets behind his framing may be the death of them all!